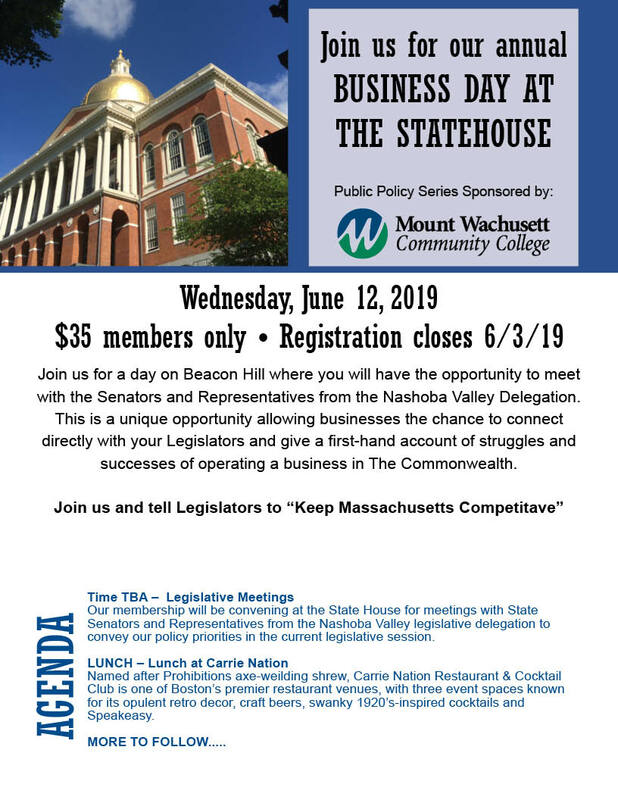 Mark Your Calendar for the Chamber’s Annual Beacon Hill Day! Join us for a day on Beacon Hill where you will have the opportunity to meet with the Senators and Representatives from the Nashoba Valley Delegation. This is a unique opportunity allowing businesses the chance to connect directly with your Legislators and give a first-hand account of struggles and successes of operating a business in The Commonwealth.